Coleslaw is one of those things I don’t ever want to eat alone, like some people, but boy do I like to add it to things. 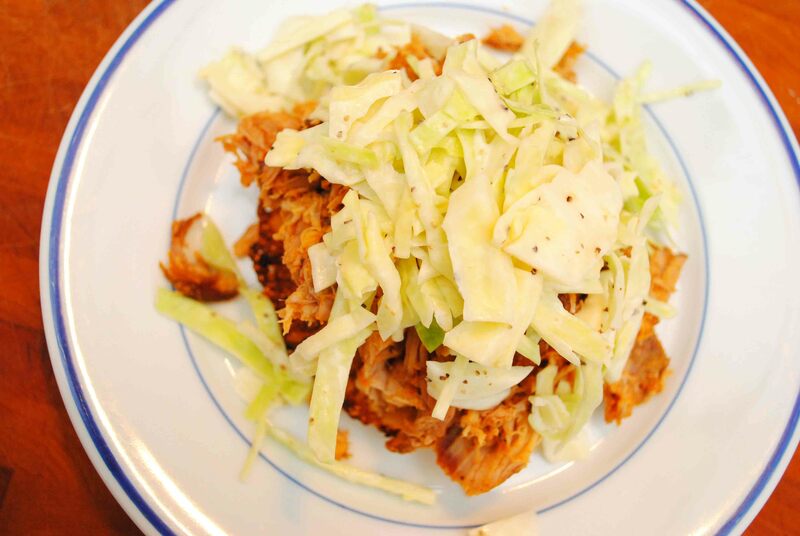 Coleslaw can make things pop like hot dogs, cuban picadillo, and my absolute favorite BBQ pulled pork. A lot of coleslaws can be sweet, and those are not really my jam. 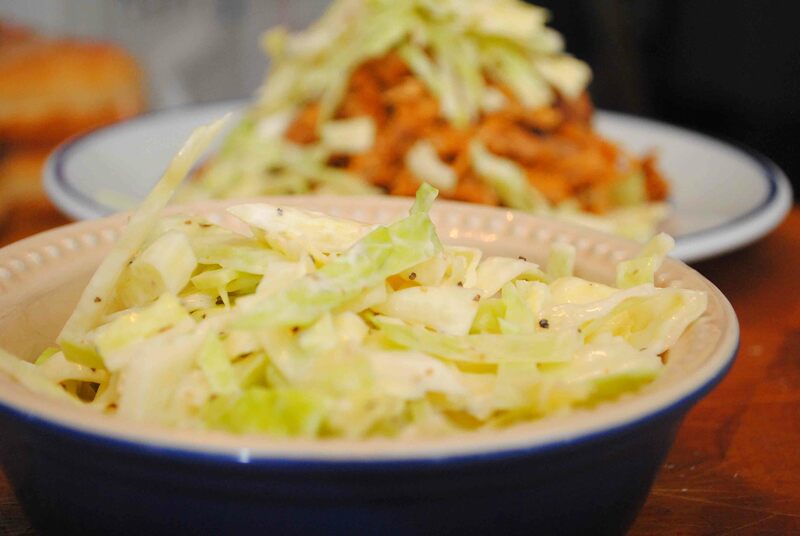 I like a slightly creamy, but mostly tangy slaw that is salty and crunchy with large shreds of fresh cabbage. I don’t like to add onions or carrots, I just want to keep it fresh and simple. The key to making this is to mix it all together at least an hour before you want to eat it so that the vinegar and salt can soften the cabbage just enough. Go ahead and chop that whole head of cabbage. You will think it’s too much, but it won’t be I promise. I use a larger head of cabbage if we have around 6-8 people over and smaller head of cabbage for around 4. We always eat almost the entire thing. It always amazes me because it seems like too much, but people love it. It will save for about one day in the fridge in an airtight container, but it’s best fresh. 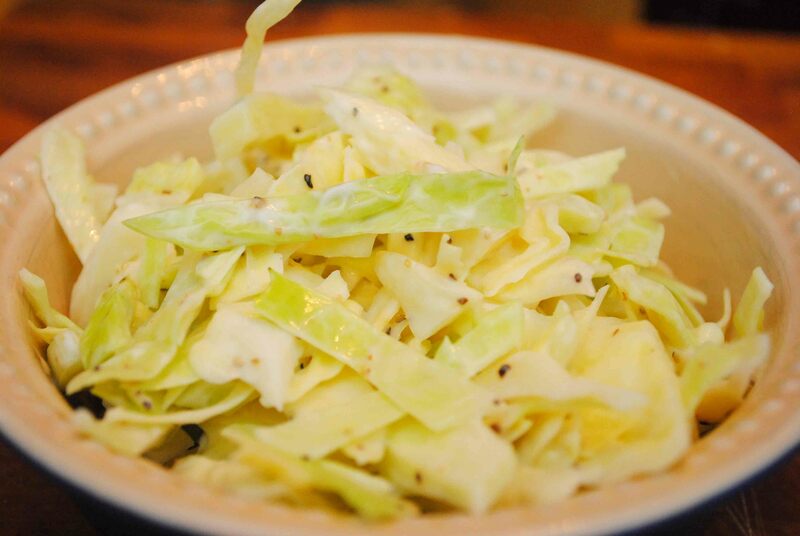 In a large bowl combine the cabbage strips, mayo, red wine vinegar, salt and pepper. I like to use tongs to really mix it up. Allow this to sit for at least an hour in the fridge, covered. Pull it out when ready to eat and serve. I love it on top of pulled pork.